The wife of King Midas sees the glimmer of a pear in her husband’s palm, and ends up sleeping with a chair to the door – terrified he’ll touch her as she sleeps and transform her to gold too.The wife of Tiresias, who is transformed into a woman, endures his laments on suffering his first period (‘One week in bed./Two doctors in./Three painkillers four times a day. ), then moves on, matter-of-fact. Mrs Aesop is viciously sharp in her boredom over the endless fables. Tongue-in-cheekily wry, but always practical, Duffy’s heroines are steadfastly independent. One of my favourites, read on Christmas Day, was Queen Herod, which explains the murder of baby sons in a fresh light that almost makes the horror of infanticide seem like a perfectly sensible act. There are passages of exquisitely raw beauty too – especially in Little Red-cap and Anne Hathaway, not to mention Mrs Quadimodo – a tale of a disappointed marriage and damaged self esteem avenged by a wholehearted act of savage vandalism. While some of the poems are too glib for my taste (I would like to dig more into the psychological impacts of some of the aftermaths) the humour plays a vital role in whisking us through poems that cast a light on a hitherto unseen side of myth and history. It’s a view that shifts what we’ve always known into something we might easily have suspected, and are glad to finally have been shown. The World’s Wife by Carol Ann Duffy is published by Picador and is available to buy from Amazon. 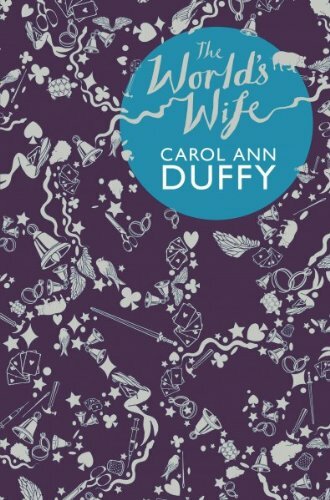 This entry was posted in Reviews and tagged Carol Ann Duffy, poetry, The World's Wife by Judy. Bookmark the permalink.